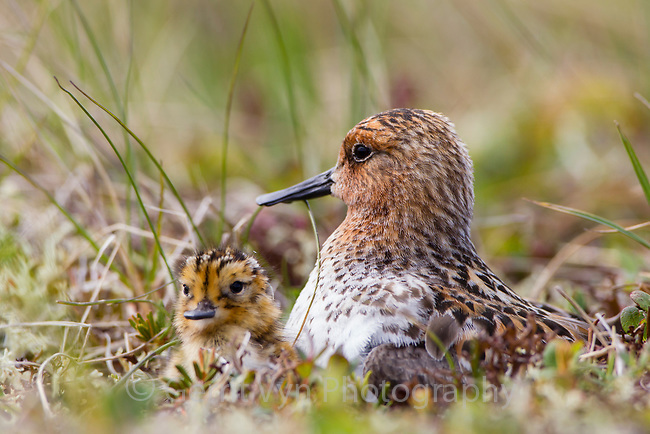 Adult male Spoon-billed Sandpiper and chick at nest. Chukotka, Russia. July.